St Lucia’s impressive UNESCO-protected volcanic peaks jut through an emerald canopy of the rainforest, ringed by romantic, soft sand beaches. This part of the world offers some of the most vibrant and colorful snorkeling in the Caribbean. Get in touch to sail St. Lucia and enjoy a friendly welcome and exciting French Creole culture. The best snorkeling in St. Lucia can be found at the coral reefs near the sandy beach of Anse Chastanet, Anse Cochon, Marigot Bay’s natural harbor, Castries and Rodney Bay’s Reduit Beach. From tropical fish to turtles and even dolphins, there’s much to see. If diving is your passion, head to the sloping wall which drops to 1,500ft at Petit Piton. Once you’ve explored St. Lucia’s wonders, you can cruise the many nearby islands. Head on up to Martinique, Dominica, Guadeloupe, Antigua, St. Bart’s, St. Martin and the British Virgin Islands. 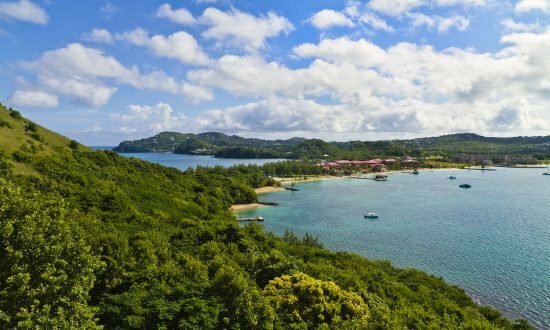 Or you can head down to St. Vincent, Bequia, Mustique, Canouan, Mayreau, Union and the special Tobago Cays Marine Park with its five uninhabited islands. Dream Yacht Charter in St. Lucia: We have a large fleet of catamarans and monohulls in St. Lucia to suit any sailor. Our St. Lucia base is in Rodney Bay Marina where you’ll be greeted by our friendly and knowledgeable team. If you need help planning your charter, check out our inspirational itineraries section. Get in touch with our team to find out more. The time difference in St. Lucia is Coordinated Universal Time (UTC) -4 hours . Make sure your documentation is in order to travel. If you’re sailing in St. Lucia and the Grenadines, your passport will need to be valid for at least six months from your departure date. Talk to us to make sure you have the correct documents before you travel. Traveling around the island is easy and you’ll find taxis on the island and water taxis to shore, just agree on a price before setting off. Or you can use the public bus network, which is affordable. When you enter St. Lucia by charter boat, you need customs and immigration clearance at every country you pass through for every member on your crew list. There may be fees payable for clearance, which will depend on yacht size, number of guests and the country you are visiting. The currency is the Eastern Caribbean Dollar and Visa and MasterCard are accepted in most places. Some places accept US dollars. Banks are open Monday to Thursday (8:30am to 3pm) and Friday (8:30am to 5pm). Getting online is easy with plenty of Wi-Fi spots at bars and restaurants around the main ports. You cannot anchor between Anse Cochon and Gros Piton, an area strictly controlled by Soufriere Marine Management Area (SMMA) to preserve the underwater coral reefs. Temperatures in St. Lucia are tropical and warm all-year round between 79ºF-83ºF. The best time to visit St. Lucia is December to May, when it is warmer and drier with sea temperatures around 83ºF. The hurricane season is between June and October and the wettest month is September. Showers tend to be short, heavy downpours between sunshine. 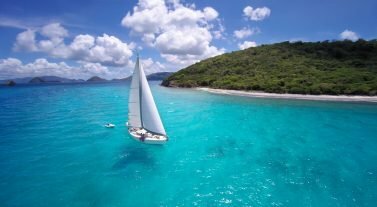 The sailing conditions in St. Lucia are perfect with constant trade winds blowing 10-25 knots south-east during summer or north-easterly during winter. You’ll find more swell between the islands and calmer waters in the lee of each island. Day 1: Provision in Rodney Bay, a wonderful Caribbean harbor, and eat at the restaurants and try the cocktails at the many sailor bars. Head to nearby Pigeon Island to explore Pigeon Island National Park. 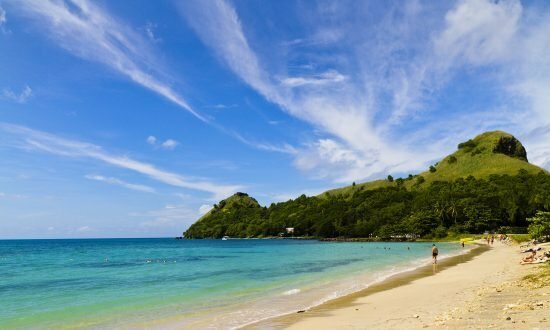 The reserve has beautiful beaches, military ruins at Fort Rodney and fantastic views at Signal Peak, where you can sometimes see Martinique. 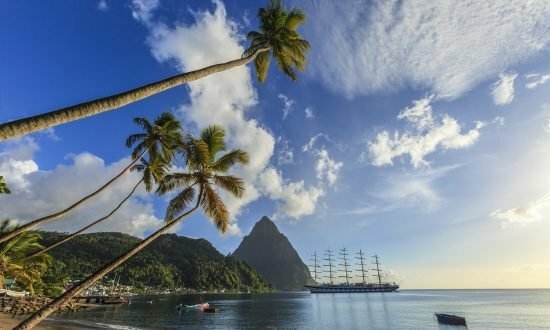 Day 2: Sail to Pitons Bay, just on from Soufriere, and hike along the Piton Mitan ridge between Petit Piton and Gros Piton, two volcanic plugs with emerald green peaks that rise from the aquamarine sea. They are the highlight landmarks of St. Lucia and you’ll get an amazing view of the bay from the ridge or wonderful photos of these titans from the bay. On the way to Pitons, stop at Anse Cochon for some of the best snorkeling on St. Lucia with its colorful, tropical fish. Day 3: Clear customs, sail past St. Vincent, stopping for lunch if the mood takes you, and head to Bequia’s Admiralty Bay. Find some of the healthiest coral in the Caribbean at the Wall, where you might see turtles, lobster, rays and eels in the deep blue 130ft drop. You’ll find it at the southern tip of the island around West Cay. If you love conservation, head to Old Hegg turtle sanctuary which rescues hawksbills. Day 4: Set sail for the wonder of the Tobago Cays Marine Park with its archipelago of five uninhabited islands, amazing coral reef snorkeling, turtles, iguanas and mangroves. 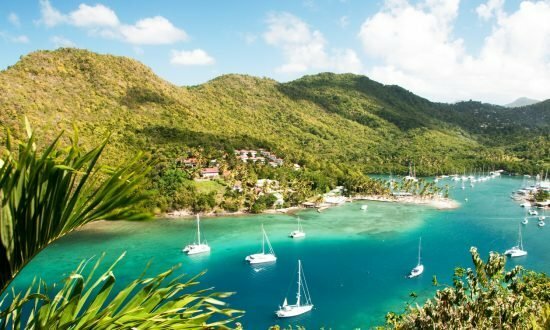 Visit the Baradel Turtle Sanctuary, Petit Tabac, where the Pirates of the Caribbean was filmed, and hike the trails on Petit Rameau, Petit Bateau and Jamesby. 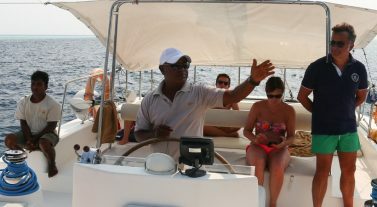 Day 5: Sail to one of the best Caribbean diving locations at the coral reef at Mayreau Gardens. Stop off at Salt Whistle Bay, a beautiful anchorage where you can enjoy a beach bbq or a lively beach bar atmosphere. Mayreau is undeveloped and sparsely populated so you can really get the remote island experience. Day 6: Sail to Blue Lagoon marina on St. Vincent, visit Fort Duvernette “Rock Fort” on the nearby islet next to Young Island. From here you can have a wonderful view of the Grenadines where you’ll find awesome snorkeling too. Day 7: Set off early for the wonderful harbor of Marigot Bay on St. Lucia where the electric blue sea is flanked by vivid palms right on the beach. Historically it’s seen battles between the English and the French navies, but today it’s a popular location for the movie industry and has been the setting for Pirates of the Caribbean and the 1967 movie adaptation of Dr. Doolittle. Sail back to Rodney Bay and disembark. Our St. Lucia base manager (see Useful Downloads for contact details) will be pleased to welcome you on arrival. 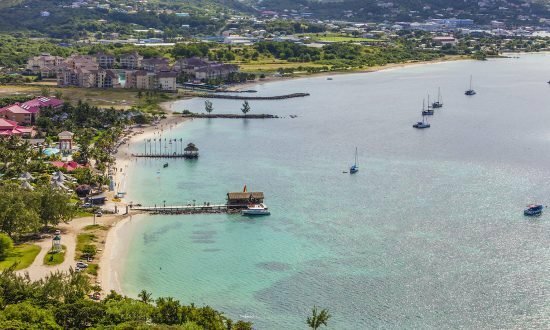 Fly direct to Hewanorra International Airport (UVF), St. Lucia, with American Airlines from Miami, from New York JFK with JetBlue or with Delta from Atlanta. We can arrange airport transfers on request and the airport is about 68km from our base at Rodney Bay Marina, or a 1 hour 20 minute taxi ride. Make sure your passport is in date and valid for the duration of your stay and look under our Handy Info section for visa advice! Tune in to the daily weather forecasts in English on CaribWx (ZBVI radio 780 AM). There are plenty of local markets and supermarkets to stock up on in St. Lucia’s ports.